No Time Limit for FBAR Audits? The general rule for tax audits is 3 years. If the IRS wants to audit your tax return, they have just 3 years to do so. If you understate your income by 25% or more, however, the IRS gets 6 years. Fail to report offshore income or fail to file an FBAR and the rules get tricky. Before going into more detail, a quick refresher is needed on offshore accounts and income. All income must be reported on your tax return. Whether US or foreign, if you earned it, the IRS wants to know about it. Foreign employers and banks usually don’t issue 1099’s or W-2 earnings statements but that doesn’t relieve one’s filing obligations. With foreign financial accounts, the IRS says you must report them if at any time during the year the total value of all foreign holdings exceeds in $10,000. (The $10,000 threshold is calculated in U.S. dollar equivalents.) Reporting is done on one’s tax return and on a Report of Foreign Bank and Financial Accounts or FBAR form (also known as FinCEN form 114). Earlier we noted that the IRS audit period could be extended to 6 years if one understated income by 25%. A special rule allows the IRS to also extend the audit period to 6 years if one fails to report $5000 or more of foreign income. Under this test, the percentages don’t matter. So what about foreign accounts and FBAR forms? There is no time limit for unfiled returns. If you haven’t been filing returns, the IRS can go back forever. This often happens with American expats who live abroad and didn’t realize that they were still required to file in the United States. Assuming you realize there is a problem and come into compliance, things get tricky. The IRS Offshore Voluntary Disclosure Program (OVDP) has much higher penalties but once you go through the program, there is a closing agreement. Once you and the IRS sign off on that agreement, there should be no more worries of an FBAR audit. Most folks who have not filed FBAR forms did not do so intentionally. For those folks, there is an IRS Streamlined Program. Depending on whether you live in the United States or offshore, the penalties are either 5% or 0% of the value of the unreported foreign accounts. It is an attractive alternative and the program requires 6 years of FBAR filings. Unlike the OVDP program, however, there is no closing program meaning the IRS can audit both the returns and the FBAR forms. How long is the audit period? The FBAR form has it’s own 6 year audit statute. Than means if you go through the Streamlined program, your audit risk for FBARs is 6 years. The audit period for your tax returns, however, varies according to the traditional rules of whether you failed to report more than 25% of your income or $5000 of offshore income. If this isn’t confusing enough, if you have a company that has a foreign account and qualifies as a Controlled Foreign Corporation and you haven’t filed an IRS form 5471, the IRS may have an unlimited time to audit. When Congress passed the FATCA legislation in 2010, it gave the IRS an unlimited time period to audit taxpayers that failed to file form 5471’s. The purpose of this post isn’t to confuse you. 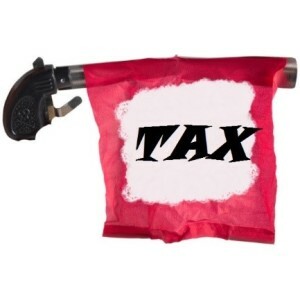 A good tax lawyer can usually clean up all the missing returns through the OVDP or streamlined programs. Failure to do come into compliance, however, means Uncle Sam can go back many, many years on an audit. This is particularly true when offshore assets or missing FBARs are involved. or by telephone at (414) 223-0464. All inquiries are kept in strict confidence and protected by the attorney – client privilege.